There are many challenges to gardening in an apartment in Harrow. For starters, you are limited a lot by the space available to grow plants indoors. On top of that, there is always the issue of sunlight that is essential for your plants and maybe sparse in any one area of your home. 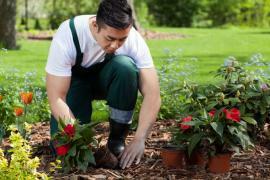 This is why you need to weigh your options carefully to ensure that you can do reliable gardening in your apartment. If you are renting the apartment, you might be limited in the number of changes you can make to the apartment to accommodate a garden based on what the landlord would allow and if it would be a worthy investment. But enthusiastic gardeners will find a way no matter what, so here are a few tips to help you along in the process. • Fire escape – The landings can fit a few containers and leave plenty of space for you to move in. • Hand or window rails – You can use the handrails on the fire escape or the rails outside the windows to hang a few pots or soda bottle plants filled with herbs. • Balcony or patio – If you don’t use your entire balcony space, this is the best place to place your plants. You can use containers of various sizes and line them up on either side of the walkway. • Walls – A good way to spruce up empty walls and to get a bit of the herb garden going as well is to attach planters to the walls. Of course, since this might require the approval of your landlord to do. • Windowsill boxes – Get a couple of long containers to grow shallow rooted herbs and vegetables and put them on a broad window ledge. Fortunately, these don’t need to be secured. • Front or back yard – If you live on the lower level, you might have the advantage of having a small stretch of lawn in front or in the back of the house in the HA1 district. 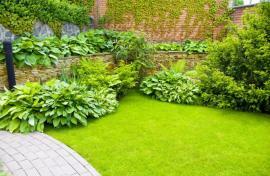 If your landlord is not to stringent on lawn care, he might allow you to rip up the lawn and lay a garden. If that’s not possible, you can always put the containers out instead. At least, that way you will be making less of a mess indoors. • Along the sides of the building – This dead space is usually not in use and usually not visible from the street. So ask your building supervisor if you can put containers there. What you can grow depends a lot on the amount of sunlight your chosen spot gets, otherwise you will have to put a lot of money and effort in your garden maintenance. Different plants need different amount of sunlight and temperatures. Taking into account the path of the sun across the sky all day and the other high-rise structures in your vicinity, chances are that most of you will receive direct sunlight for mostly 4-5 hours. This will greatly narrow down the list of plants you can grow in your home in Harrow. Then you have to pick from the kind of vegetable you like to eat and whether it makes economical sense to grow them instead of buying from the market. Pick a container that is suitable to grow them in and allows for trimming, pruning and weed control. 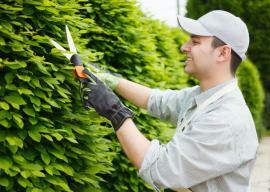 What Are The Benefits Of Professional Gardening Services In Notting Hill?